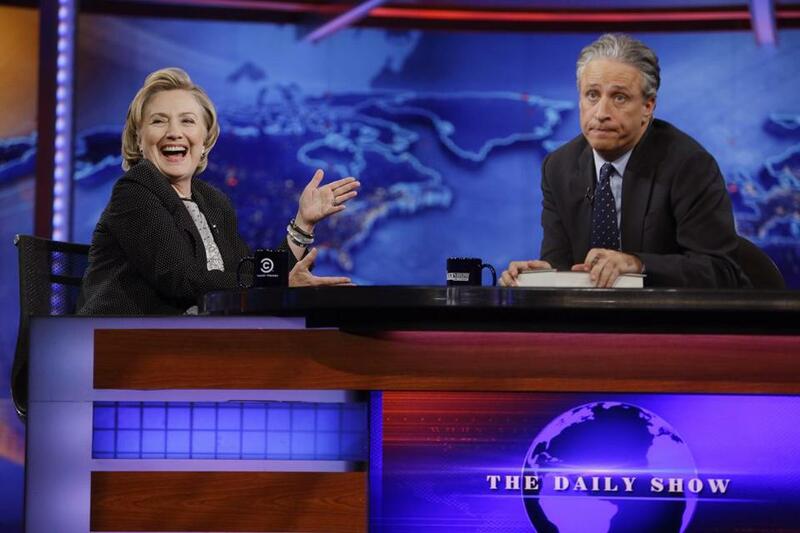 Hillary Rodham Clinton reacted to “The Daily Show” host Jon Stewart during a July 2014 taping. 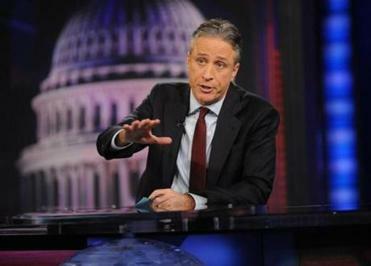 Stewart announced Tuesday he will step down as host. The news that Jon Stewart will be retiring from “The Daily Show” later this year wasn’t entirely unexpected — but that didn’t make it any easier to accept. Sure, he’s been doing the show for more than 15 years now. He’s already begun to shift into a movie-directing career, starting with last year’s political drama “Rosewater.” And then there’s his obvious exasperation at the do-nothing Congress of the Obama era, which has made him a wee bit crankier than he once was. Still, it was hard not to wish the announcement was some sort of Internet hoax or maybe even a bit by one of “The Daily Show” correspondents or by Stewart himself. But, no, it’s the sad truth, made even sadder by the brilliance of Stewart’s take on L’Affaire Brian Williams Monday night. In classic Stewart style, he revealed the hypocrisy at the heart of this story: how the media allowed the Bush administration to get away with lies about the rationale for the Iraq War while jumping all over Williams’ relatively innocuous lie about being in a helicopter that was shot down in Iraq when he was there in 2003. All told with the smirks, grimaces, and gestures of Stewart’s that let us know life is absurd — but at least we’re in on the joke. If Stewart’s legion of fans on social media have their way, he won’t be gone from the public eye for long. Some suggest that he take Williams’s spot as anchor of NBC Nightly News. Others are hoping he’ll become President Stewart (with Stephen Colbert as his veep, of course). Even Arby’s is in on the action, encouraging him to get in touch with the company for his next career move! Without meaning to, “The Daily Show” host has helped to create some depressing trends in modern civic life. Clearly, the very qualities that make Stewart so successful as a fake news anchor would be damning to him as a real news anchor or political leader. He’d have to turn his b.s. meter all the way down instead of where he keeps it now . . . at its highest setting at all times. He couldn’t put his head on his desk in utter resignation or shake his fists in indignation. He might even have to submit to an interview by his longtime nemesis, CNN’s Wolf Blitzer. Let’s hope the very thought of that makes Stewart change his mind.